Two love-letters explaining The Way of Salvation & Holiness at Holy Love Ministry to an unnamed party. Both written in 2011 by a soul. It is with much blessings and much love that I write to you all today! You continue to be always in my prayers and in my heart. Your Mission is so important to God! May The Lord keep you and protect you in all things! Amen. 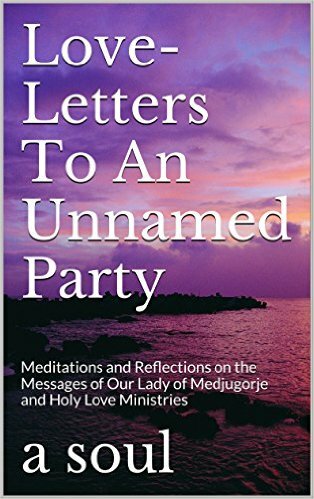 Well, it has been several months (July 2010) since I first wrote to you about Holy Love Ministry and their good works on behalf of Heaven. I continue to testify, unbeknownst to them, that I am writing to you on behalf of their cause for love, The Love of Jesus Christ, in the united hearts of all mankind. On the day that I sent my first love-letter to you, I went to the post office after several days of praying for the success of “my mission.” You see, perhaps I was naïve, but I was hopeful that it would be so easy to convince you of The Truth of Heaven’s Presence at Holy Love Ministry by the way of my letter. I am a very simple person; but I truly believed that this would be a simple and relatively easy matter of discernment. Well, although it has not materialized to be so easy, The Lord was so very good to me, as He sent me a confirmation sign that same day that I was doing the “right thing,” in the form of an angel. The angel was an older man who stood at the door at the post office and greeted everyone with a loud, resounding “Hallelujah” and “Praise Be to God” at the moment that I mailed my package to [unnamed party]. So, I offer my testimony to you! I am a 33-year old woman. I am single and I am in love with The Lord. I gave up the prospects of earthly marriage to serve God as a lay woman by the means of my prayers for the salvation of others. I discerned that being a nun was not my vocation in life as I suffer from chronic illness. Rather, I believe that God has another calling for me that I will gladly do for Him all the days of my life. I have not always been a Christian. Baptized Catholic as an infant, I did not have a strong foundational upbringing in the faith, which contributed to me falling away as a teenager. Yet, through the persevering and enduring Love of The Blessed Mother, I came to realize the Truth of Christianity at the age of 25 and I gave my own “yes” to God. The Lord blessed me. I received my first Holy Communion in that same year and came to realize His Awesome Love through Our Lady of Medjugorje. Then later, I found Holy Love Ministry. Those three events are the greatest blessings in my life. I am so very grateful for God’s Love. Well, coming to know God at an adult age, I did not know how to pray to Him. I knew that prayer was important, but no one ever showed me “how to” do so. But, thankfully, Jesus Is a Generous God. He rescued me in my ignorance, by having me learn to pray for, and in unity with, the poor souls in purgatory for those still living on earth. I learned from prayer that each word “counts.” I learned that simply praying the words “Mother of God” or The Holy Name of “Jesus” with much love and affection—with true understanding in my soul—“counts more” than saying 10 rosary decades from rote memorization. I also learned that prayer in song is one of the highest forms of loving God. Oh, how I love to sing to The Lord! Today, I cannot say a single prayer without recognizing The Blessed Mother and all the saints and angels, all poor souls, and good souls on earth, praying with me, through The Eternal Mass, to The Divine Presence of Jesus in The Holy Eucharist before God The Father. The Communion of Saints is a very active part of my life—I love all my brothers and sisters no matter where they may be. Jesus taught me in prayer also the importance of His Most Precious Body and Blood in The Holy Eucharist. The Mass is not simply an event, but the greatest experience in my life each time that I attend. Not a moment passes by without a petition—a plea—from my heart and soul for the salvation of all souls on earth. Although I may not see them, I am very cognizant of the presence of the angels and saints at each and every Mass. It truly is Heavenly. Jesus taught me in prayer to approach the reception of Holy Communion as being a Heavenly “kiss” from The Lord to me, a dearly loved child of God The Father. A moment to be treasured always in my soul—regardless of all the distractions and interruptions of those around me. This is what it means to pray without ceasing. The Heavenly teachings at Holy Love Ministry have also been so instrumental to my further understanding of The Love of God in our lives. Through Holy Love, I am truly learning about The Immaculate Heart of Our Blessed Mother. The Communion of Saints is a reality that everyone must understand in prayer that they are never alone—we are never alone when we pray. I have learned that even when I “mess up” in my prayers—saying the wrong words, when I am tired and distracted, etc.—despite whatever difficulties I am encountering in that moment, I am never alone in my prayers. The Blessed Mother is always with me, making my prayers, as feeble and imperfect as they are, better to God The Father. Through The Blessed Mother’s Immaculate Heart, my prayers are strengthened and purified, combined with the loving prayers of all the angels and saints, who are listening and loving me, too, in that moment. And so it is, that is how the world will be saved—through the combined, loving effort of the entire family of God—Heaven, purgatory, and good souls on earth, for the salvation of all souls still living. That is the reality of the Communion of Saints, the Unity of the Family of God The Father, The Living Body of Christ, which cannot be divided nor separated, but in which every member is just as important to the whole, for the building up of the Kingdom of God. 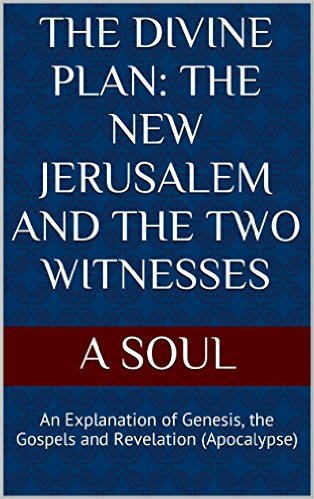 So, when all people finally understand this concept—that no one is ever just praying alone to Jesus or to just a single saint for help, but rather, every prayer is said and magnified and perfected through The Immaculate Heart of The Blessed Mother, in unity with all prayers of the angels and saints, this world will change into the New Jerusalem. Oh, how important these Two Great Commandments are! Through Holy Love, I am continually learning of the important concept of praying in every present moment to God. And how very important it is to pray for the intentions of The Immaculate Heart of The Blessed Mother! It is very easy to give The Lord a “list” of requests when we pray to Him. But, very few, give The Lord the freedom He wants to act in the world, by praying for the desires and intentions of The Immaculate Heart of His Mother, which mirrors The Divine Will of God. This requires trust. Trust that God, not us, knows best for every possible outcome to every situation. And love—love of God and neighbor beyond our own selfish wants and imperfectly-formed desires. I try my best to give this precious gift to My Lord in my prayers to Him. Whether it is at Mass, or in the present moments throughout each day, I pray constantly for the intentions of Heaven for us here on earth. It is constantly on my mind and on my lips—the salvation of all souls. In the end, I believe that is all that really matters. And I leave all the details of making it so, to God and Heaven. Finally, through Holy Love, I am learning the deeper meaning of the Sacred Scripture passages: Revelation 3:20 and The Gospel of John Chapter 14. In prayer, I have had the image in my mind of Jesus standing in a bright light at an open doorway with the “Heavenly thought” that we must “open” the “doorways” of our own individual hearts. As in Revelation 3:20, Jesus truly Is inviting each of us to open the doorway to our hearts, to our very souls, to Him. And while there are many “Chambers” in His Most Sacred Heart; in order to reach the smallest, most intimate “Chamber” of God’s Divine Heart, we have to continually open the doorways of our own hearts, until we find and recognize Jesus resting there in the innermost part of our souls. In the beginning, this spiritual journey offered through Holy Love seems like it is separate from us—like we are venturing—“a little soul”—into the bigger and Grander Most Sacred Heart of Our Lord—opening the doorways of Jesus’ Beloved Heart. But, in reality and in truth, I have realized that the journey was always in our own hearts, when we recognize Our Emmanuel—Our God With Us—in the inner recesses of our being. In reality, we welcome and give possession to The King of kings, The King of Hearts to our own hearts, when we invite Him to rest in us in Holy Communion, to dine with us. And through the exchange of daily “kisses” (Holy Communion) between us and God, our hearts become transformed into an identical reflection of The Most Sacred Heart of Jesus, so much so that they are one and the same, except for size, so that our miniature little hearts fit snugly into The Greater Loving Heart of Our Lord. My dearly beloved brothers and sisters, I will tell you that I once had a “great and terrible fear.” It was this: that when I die, I would not recognize The Adorable Face of My Lord and My Savior. That, somehow, in those last moments of temptations and struggle, I would not be able to recognize My Loving God, and would die impenitent to His Love. But, My Sweet Jesus, being The Most Awesome, Most Loving and Generous God that He Is, heard the silent prayer of my soul, providing for me the answer to my deeply-rooted fear of death. 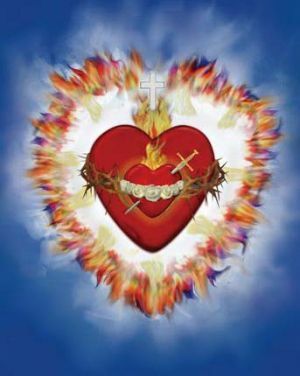 My dearly beloved brothers and sisters, the answer is His Most Sacred Heart. For, at that moment of death, when I take my final breath and gaze upon My True Savior, I will know and recognize Him because my own little heart will beat in unity with The Sacred Heartbeat of His Most Beloved Heart. In that precious moment, when I “fall in love” forever with My God, my little heart will be the mirror image of My God’s Own Greater Heart—so much so, that it fits perfectly into His, in the special place that My Lord has prepared for me for all eternity. So that, there would be no question, that I am His and He Is mine. Each of us, my dearly beloved brothers and sisters, has a very special and uniquely ours—place—in The Most Sacred Heart of Our Lord. One Heartbeat. One Heart. One Love. In Sacred Scripture, Gospel of John Chapter 14, Jesus tells us of the spiritual journey that one must venture to be with Him and His Divine Father in Heaven. In Holy Love, Jesus beckons us on the spiritual journey of The Chambers of The United Hearts of Jesus and Mary. A journey that begins in Holy Love and ends in The Divine Love of The Father. These two journeys that are described, are in fact, one and the same. The door in Revelation that Jesus is standing at are the successive doorways that we must continually open and enter in our own hearts until we reach the most intimate chamber of our hearts where Jesus dwells within, which is The House of The Father—The Divine Heart and The Divine Will of God. The summation of all Catholic Theology can be found in the spiritual journey of The United Hearts of Jesus and Mary at Holy Love. It is not a “separate path” that we can choose, like dedicating our lives following the Rule of St. Dominic, or being a Franciscan, or living as a Jesuit, etc. But, rather, The Chambers of The United Hearts encapsulates the totality of all Catholic Faith—whether it is mystically, theologically, or biblically derived. It is the ultimate fulfillment of being a Dominican, Franciscan, Jesuit, etc.—a lifetime lovingly dedicated to Christ in honor of the teachings of all the Saints. Truly, one could spend a lifetime simply studying Gospel of John Chapter 14 in light of the spiritual journey given by Jesus in Holy Love. Those Sacred Scripture passages, in fact, describe the spiritual journey that Jesus is providing for us today at Holy Love. So, when St. Teresa of Avila speaks of the “mansions” in Heaven in her spiritual writings, or Blessed Luisa Piccarreta writes of The Divine Will of The Father, they are showing us and uncovering for us aspects of the spiritual journey of The United Hearts of Jesus and Mary, the spiritual journey to The Divine Heart of The Father. In truth, all the writings and teachings of the Saints are. Like a prism of light, the paths that our Heavenly brothers and sisters travelled are beautiful reflections of The Greater Light of Christ—of how their own little, miniature hearts found their ultimate destination, their place, fitting snugly in The Greater Most Sacred Heart of Our Lord. The United Hearts of Jesus and Mary. The Chambers of The Sacred Heart of Our Lord. Holy Love and Divine Love. This is the spiritual journey that Jesus Is calling each of us, individually and collectively, to pursue. Today and at Holy Love. I am answering His Call. I do not know all the steps, nor do I know what the final destination will be for me. All I know is that I will follow and trust Him all the days of my life. Will you answer His Call, too, my dearly beloved brothers and sisters? Will you answer The Heartbeat of His Most Sacred Heart? Many sweet blessings to you, beloved children of the Light and my fellow brothers and sisters in Christ. It is in much love and joy that I continue to write to you all in this 5th love-letter today. May the Lord strengthen you and keep you in all good things, especially matters of the heart. Amen. (And it is amazing how My Love enjoys hearing me sing in my alone time with Him—such unconditional love that Our God has for each of us, huh?). And so, as I have been singing, My Love has enlightened my mind with some heavenly thoughts, which I thought might be nice to share with you, my dearest family. Now, as you are well-aware, I have been trying to encourage you to take the path of Holy Love—to follow the spiritual journey of the United Hearts of the Most Holy Trinity and the Immaculate Heart of Mary. 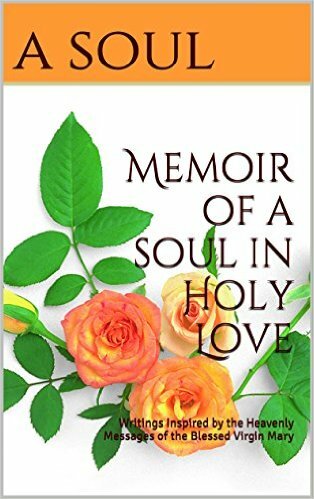 I do this because “love desires to share love with others…” But, alas, even though I have not been successful, I still continue to write, as I know that this is the expressed desire of Our Lord, that every heart beat in time with His Most Sacred Heart through the messages at Holy Love Ministry (holylove.org). As I wrote in my last love-letter, the spiritual journey of The Sacred Chambers of The United Hearts of Jesus and Mary consists of an ever-deepening journey into personal holiness and even sanctification. It consists of a purging through our most serious faults through the Immaculate Heart of Our Lady, which then prepares us for the next Sacred Chambers, which comprise the Most Sacred Heart of Our Lord, into eventual immersion into the Divine Will of The Eternal Father (The Sixth Chamber, which is hidden in the Fifth and Fourth Chamber of Our Lord’s Most Sacred Heart). I have learned through the messages of Holy Love, that every soul in Heaven enjoys being in the Fourth Chamber of Our Lord’s Beloved Heart, as the first three Sacred Chambers are “Purgatory”—whether they are experienced in the real Purgatory, or, for those who choose, are experienced by souls living here on earth in preparation for Heaven. This is why I write to you, my dearest brothers and sisters. I want you to enjoy “the highest heaven possible” for yourselves. I want others who hear of your good works, to also enjoy “the highest heaven possible” for themselves when they pass on. In a previous love-letter to you, I wrote a “serenade to Our Blessed Mother,” and I included a special writing from Blessed Maria Valtorta. In that writing, Jesus tells us that there are two great plenary indulgences granted that come directly from Him, as The Supreme and Eternal Pontiff: A Love that covers a multitude of sins and Obedience unto death. This is only possible by striving to give Our Lord every present moment of our lives. I have learned so much through the heavenly messages at Holy Love Ministry. I have learned how every present moment is so important for our salvation and sanctification. We must give the past to Our Lord in His Divine Mercy. We must give the future to Our Lord in holy trust to His Divine Provision. For, we must live every present moment, abiding in His Divine Love, as we conform and unify our self-wills to the Divine Will, which is Our Lord Living In The Eternal Now. This is how to achieve the “highest heaven possible” for ourselves, as well as bring true peace and harmony back into the world. This is how we must prepare our souls to make the spiritual jump from time and space to eternity—Heaven. I will tell you, my dearest brothers and sisters, that whenever I sit down to write something for My Love, I never know how the writing will turn out… For today, My Love inspired me by opening my mind to likening the Divine Will to a great symphony. So, I studied the messages at Holy Love to gain greater insight. As I began this love-letter, the Blessed Mother tells us in a message that our lives are likened to an unfinished symphony in which every prayer and every sacrifice—every offering done in Holy Love in every present moment—is played back as individual notes at our own final judgments, as Our King, Her Divine Son, Jesus, listens to the sweet melody of our lives. And from this sweet melody, which rises truly from our hearts, determines the depth of our union with the Divine Will and the Divine Love of God—our final state of being in Heaven. The Beatific Vision. The goal of all humanity then ought to be to synchronize our souls—in every present moment—every heartbeat and every breath—with the Most Sacred Heartbeat of Our Lord. So that, our hearts beat in time and in eternity—in total and complete harmony—with God. This will be the Triumph of the Immaculate Heart of Mary. When all hearts beat with the Most Sacred Heartbeat of Our Lord. When each of us willingly steps into the Most Sacred Chambers of The United Hearts of Jesus and Mary—the spiritual journey given at Holy Love—by allowing our hearts to be purged and prepared by the Blessed Mother so that the Love of Christ may reign in us as the New Jerusalem. He blesses me and smiles. My dearest brothers and sisters, whenever Jesus, the Blessed Mother, and the Saints speak at Holy Love about giving the gift of the present moment to God, They speak of living a virtuous life—by living the Holy Commandments to love God above all else and neighbor as self each moment of our lives. Understanding what the virtues are and are not is the key to unlocking that which holds our hearts captive in disordered self-love. I have come to understand that the virtues never start in the intellect. Instead, quite contrary to this, we must offer the gift of our intellect to God, so that we can be emptied of ourselves and filled up with heavenly thoughts and divine wisdom. The virtues are what truly lasts and carries us throughout eternity. They begin and reside in the heart. No virtue originates in the intellect. Especially, especially, especially Love. Oh, how my heart beats for you all. Oh, please, my beloved brothers and sisters in Christ, do not rationalize yourself away from Love. Do not lose this present moment of grace in your lives. This grace of conversion is real. The opportunity to draw closer to His Most Sacred Heart and gain the “Highest Heaven” for yourselves. I love you and want this for you all, my beloved family, for all eternity. * For several years I have seen, off and on, this bishop standing in the background in other visions. He never spoke. I never knew who he was until today. Oh, my beloved brothers and sisters in Christ! How sweet it is that a thousand years is but a single day to The Lord! Meanwhile, I continued praying and singing love songs to God each day, as typical with me, as I awaited the appointed time for My Love to give me the words to say. So, finally, tonight, My Love inspired me with the thoughts that He wants me to convey to you all in Holy Love. So, let me begin anew my love-letter to you. My Love inspired me to think of the “Great Era of Peace” that has been promised by His Mother, Our Lady, for all of us as a confirmation of The Triumph of Her Immaculate Heart. And as I contemplated often what the words “era of peace” exactly means, My Love finally and graciously opened my mind to concepts that had been hidden to me before in earlier reflections. Oh, my beloved brothers and sisters! The dawning of a new era in humanity approaches! My brothers and sisters in Christ, we live in the end of days, the End Times, because to live in the New Jerusalem, which begins and resides in our hearts, is the Peace of The Lord and this Peace is living Holy Love in each present moment of our lives. My brothers and sisters in Christ, I have learned at Holy Love that time only passes on earth, and in hell and in purgatory. And when I learned this curious fact, I often wondered to myself why hell and purgatory, which are eternal states of being, were somehow tied to the passage of time, unlike Heaven. My brothers and sisters in Christ, hell is a place that is a constant state of unrest for the soul, that lacks Peace. The Peace of the Lord can only be found by living in the present moment in Holy Love. Holy Love is a state of being in which one loves God and neighbor above self always. Hell, in contrast, is a state of being in which absolute self-will is inverted within itself. And hell is tied to the passage of time, because one never achieves rest in God, The Eternal Now—which is found in the present moment by living in Holy Love—Peace. And taking this contemplation one step further, my brothers and sisters in Christ, purgatory is tied to the passage of time, because the poor souls never achieved a state of personal holiness in which they are ready to and are residing always in the present moment in Holy Love. Purgatory is a place of expiation for wasted present moments, in which one could have prepared themselves for the spiritual jump from time and space to eternity, by living in the constant present moment in Holy Love on earth, but fell short. My brothers and sisters in Christ, as I have written earlier about the spiritual journey of The United Hearts of Jesus and Mary at Holy Love, the first Three Sacred Chambers—the First Sacred Chamber being salvation—the purging of our deepest sins and faults in the Immaculate Heart of Mary—are the Real Purgatory after one’s death or can be experienced here on earth, in preparation for the Fourth Chamber of Our Lord’s Most Sacred Heart, which every soul in Heaven enjoys at a minimum who has achieved salvation in God. Our Blessed Mother is Crowned The Queen of Heaven, She is Queen of All Saints, because Her Immaculate Heart, is the First Chamber of Our Lord’s Most Sacred Heart and it is through imitating Her in Holy Love, loving God and neighbor above all else in the present moment that we can even enter Heaven. No one makes it to Heaven without acknowledging this Divine Truth. She is Queen of All Saints because through Her Hands is dispersed the Divine Grace of True Contrition and Continual Conversion from Our Lord. And all it takes is a single moment of selfless love, in imitation of Our Lady, to be saved. So as to enter the First Chamber, Her Immaculate Heart, to be purged of our sins in either the Real Purgatory or on earth, and to be continually purified in the continual act of salvation by Our Lady in cooperation with Our Lord, in the Second and Third Sacred Chambers. The New Jerusalem, the Fourth Chamber of Our Lord’s Most Sacred Heart, is Heaven. The coming Era of Peace on earth—the New Jerusalem, the Fourth Chamber of Our Lord’s Most Sacred Heart, as promised by Our Lady, Queen of Peace, is truly and will be Heaven on earth. A new Heaven and a new earth united in God’s Divine Love and Divine Will. The end of time and the start of The Great Era of Peace for all children of the Light. The Divine Plan of The Heavenly Father finally realized in the hearts of all humanity, His beloved children. The Divine Plan that first began in a Garden of Eden with a man and a woman in a state of grace. A Divine Plan that calls for a return to an earth without sin. A new earth in which all hearts will work on their continual conversion every present moment in Holy Love to achieve the “highest Heaven possible”—immersion in the Divine Heart of the Father. This is and will be the coming Triumph of the Immaculate Heart of Mary. Her Immaculate Heart finally recognized as being forever united in the Most Sacred Heart of Her Divine Son, the United Hearts of the Most Holy Trinity. MY GOD, You are answering the cries of our hearts! Thy Kingdom come! Thy Will Be Done on earth as it is in Heaven! By tradition, The Blessed Mother is known as the Morning Star, the Moon, Aurora, the Dawn. And so, Her Divine Son, Jesus, Is The Great Light, The Glorious Sun, and The New Day. Our Lady of Rue du Bac, the Miraculous Medal, took place in the middle of the night, in the wee hours. While Lourdes and La Salette were morning and day apparitions of Our Lady. Then still, the 3 o’clock hour in the afternoon is significant for Our Lady of Fatima and the Divine Mercy of Our Lord. Garabandal and Medjugorje are associated as evening apparitions of Our Lady. And then, one comes to the apparitions of Our Lady and of Our Lord at Holy Love, which always take place at midnight. A full day has taken place and is coming to completion in these major heavenly apparitions of Our Lady and Our Lord. This is another signal, the sign of the times, the End Times and the End of Days, that the Church, the Bride of Our Lord, is set to enter the Passion Hour, the Darkness of the Night, in imitation of and love for Her Divine Spouse. So as, to enter into everlasting Real Peace, The Peace of The Lord, that is love of God and neighbor always in the present moment. A timeless Love. The new earth—Heaven on earth. The New Jerusalem in the Most Sacred Heart of Our Lord. The Church, the Mystical Bride, that began in Passion and will end in Passion. Passionate Love. I have written of the Two Witnesses, as spoken of in Chapter 11 of the Book of Revelation, that they will wear the “sackcloth of Holy Love,” during the passion hour, in an evil world that will not recognize them and will despise them. Because by their suffering and their brotherly love, they will point The Way to The Divine Father, by continually seeking The Lord and converting in every present moment in Holy Love—moving forward and upward spiritually, while most of the world slips and falls backwards, into further sin and great evil, so much so that they cannot even begin to understand their loving testimony. I have often wondered to myself why St. John wrote the Book of Revelation in the order that he did… Of particular relevance here, why the story of the testimony of the Two Witnesses precedes then the Great Sign of Our Lady, the True Ark of the Covenant, as Queen of Heaven. Oh, my brothers and sisters in Christ! My Love gave me insight to this question of mine tonight. At the break of dawn, on the day of the Feast of the Immaculate Conception in 1531, Our Lady appeared to a young peasant, St. Juan Diego, on top of a hill, singing a sweet heavenly melody to call him closer. Known as Our Lady of Guadalupe, Our Blessed Mother came to wage war against the dragon who led one of the most barbaric and evil empires that ever existed in the history of mankind. She came clothed as The Lady of Chapter 12 of the Book of Revelation, as the miraculous tilma continues to testify, to bring an end to a culture of death and birth a nation into a culture of life. And ever since, Our Blessed Mother, known as Our Lady of Guadalupe, is the symbol for the pro-life cause. At Holy Love, Heaven has provided for us a very special rosary, The Rosary of the Unborn, which saves an unborn infant with each Hail Mary lovingly said with its beads, shaped as Teardrops of Our Lady. We must make this known. At Medjugorje, the Feast Day of the Immaculate Conception has been connected by Our Lady to mortal sin, as some of the more grave secrets have been given on this feast day. The Feast Day of the Immaculate Conception is connected to Our Lady of Guadalupe and Our Lady of Medjugorje. Both emphasized the gravity of grave sin in our lives, especially the mortal sins against innocent life, but also, they both promise hope in the end. From Holy Love, we know that the Church is poised to enter its passion hour, the darkness of the Night, while in the first known major apparition of the Blessed Mother, Our Lady of Guadalupe, The Lady of Chapter 12 of Revelation, triumphs in the end, as shown by Her song of pure joy that beautiful dawn morning in 1531. Our Lady, the Queen of Heaven, sang because The Sun was rising again. The roses—we, as the chosen flowers at Her feet—were blooming in winter—and promised of a glorious springtime, a rebirth for the Church, in The New Day to come. And so, that is also why the story of the testimony of the Two Witnesses precedes the Great Sign of Our Lady in the Book of Revelation, Chapter 11 before Chapter 12. The Two Witnesses point The Way to The Divine Father, which is only possible and first begins with Our Lady, Queen of Peace, Mystical Rose, Holy Love. For those who understand and treasure Holy Love for what it is and will become. For those who recognize now The Way to The Divine Father, as will be testified by the Two Witnesses during the passion hour to the entire world. Let us, as the first children of the Light, Our Lady’s apostles, set out and journey with Her, to prepare our souls for this decisive battle now. Let us, by continually converting our hearts, live in the present moment for Love of God and neighbor above self. So that, in the great consummate struggle over souls, when the dragon wages his final war with Our Lady’s offspring, during the dark hour of the antichrist, all will choose for victory in Holy Love. Always Holy Love.